Dr. David is a naturopathic physician who’s been practicing medicine since 2001. He specializes in resolving pain and healing injuries due to motor vehicle accidents, sports injuries, over use, and degenerative processes using prolotherapy, trigger point injections and platelet rich plasma therapy. Throughout his career, Dr. David’s focus has been on the most effective therapy for injury recovery. The injections he utilizes have proven extremely effective for hundreds of patients who have not had success elsewhere. Seeing a physician experienced giving prolotherapy injections is critical to full recovery, whether the injury is whiplash or a torn rotator cuff. 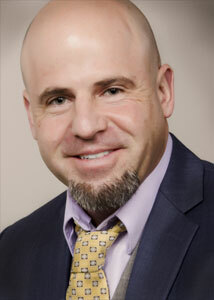 Dr. David is a graduate of the University of Oregon where he received his Bachelor’s Degree in Biology/Psychology. He studied naturopathic medicine at the National College of Naturopathic Medicine in Portland, Oregon. He is a member of the Oregon Pain Society and the Oregon Association of Naturopathic Physicians. He serves on the Board of the Oregon Association of Naturopathic Physicians. It is Dr. David’s goal to offer the best health care possible. He addresses the root cause of pain and imbalance and develops a program of individualized care, taking time to explain treatments in terms patients understand. An avid soccer player, sports enthusiast and busy father of two, Dr. David knows how important it is to return patients to pre-injury health as soon as possible. Rise2Health offers a variety of specialized services in addition to prolotherapy and platelet rich plasma therapy. Dr. David also specializes in hormone optimization, thyroid disorders, and has a general practice offering comprehensive diagnostic and treatment options.